Most women would like to stay young forever, at least from the outside. So they go to great lengths to keep their fresh and youthful appearance, especially when it comes to what matters the most – their face. But a fresh and young face doesn’t mean you need to spend a fortune and go through difficult procedures. Let’s take a look at some of the best do-it-yourself anti-aging face masks that you can easily mix together at home from ingredients found in most kitchens. All three recipes here will help you reduce wrinkles and tighten the skin, however, they are just as good for delaying the aging process all together. Bananas work wonders in keeping you young and healthy. They have lots of vitamins A, E, C and B6 in them to smooth away thin lines and make wrinkles less apparent. It’s good to eat bananas, but even better to apply a mixture of banana, honey, cream and some lemon juice directly on your face. Mash one small banana with a fork in a small mixing bowl. Add 10 drops of lemon juice, 1 tablespoon of organic honey and 2 tablespoons of heavy cream. Mix it well. Apply the mixture on your face as soon as it’s done. If you let it breathe for hours, or even worse, refrigerate it, all the nutrients will be gone before they even touch your skin. 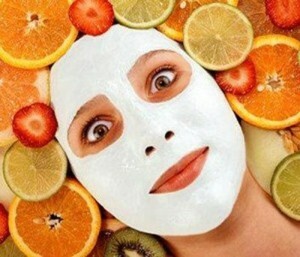 Clean and wash your face before applying the mask. Make sure your whole face is covered, including your neck and the area around the eyes. Leave the mask on for 30 minutes and then rinse off with warm water. Keep using the mask 2-3 times per week for maximum effect. Egg whites work their magic instantly. So if you are going out later in the evening, this is definitely the mask to use in the early afternoon. Egg whites tighten the skin instantly buy pulling it up temporarily and reducing wrinkles. 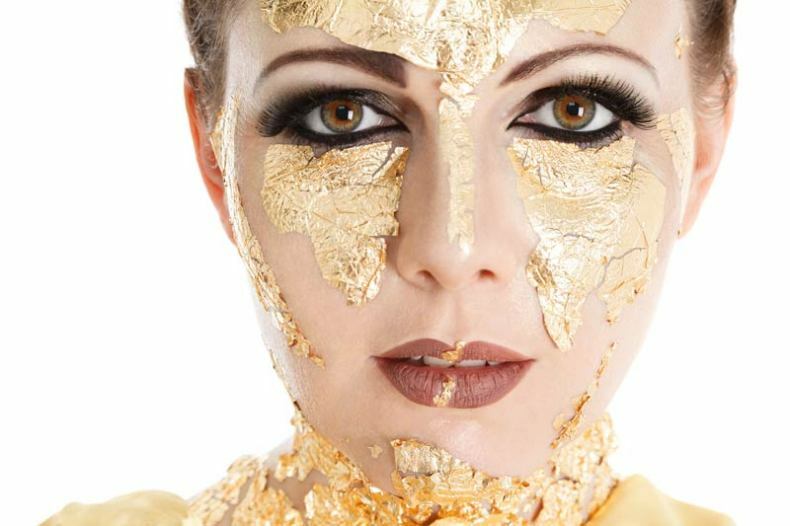 Honey, in the other hand, makes the skin soft and gives it a special glow. Together these two ingredients reduce acne, brighten the skin and remove redness and bumps – your face will be perfect for the evening event. Take one raw egg, remove the yolk. Mix it together with a teaspoon of organic honey until it looks smooth. Spread the mixture on your neck and face. Sit back and wait for 15 minutes before washing it off with lukewarm water. Use a clean towel to pat the skin dry. Now apply your favorite moisturizer and take a look in the mirror, you should already see improvement. If you are after long term results and not just hoping to look good for your night out, use this home made mask weekly to reduce lines and wrinkles and tighten sagging skin. Everybody knows that cucumber is great for baggy eyes and dark circles, but it’s also good for your entire face as it has great anti-aging properties. Due to the silica found in cucumber, it will pull the skin’s connective tissues together tightly making the face look tight and smooth. Enzymes in the cucumber will speed up the renewal of skin cells. To make the mask even more powerful, other important ingredients are added. For this face mask you need to combine together a small peeled cucumber, a teaspoon of lemon juice, a few mint leaves, a slice of apple and one egg white. It’s best to use a food processor or a hand blender to create a good mixture. Each of the ingredients has many benefits on its own, but the results you get from them working together will definitely leave the greatest impact. Apply the mask on your face and neck, also around your eyes. Leave it there for 20 minutes and rinse with warm water. Keep using this mask once a week and you will get compliments left and right about how fresh and smooth your skin looks. When it comes to home made face masks, these three are just the tip of the iceberg, there are so many more, what works for some may not work for others. Let us know your favorite recipes for staying young through the years.